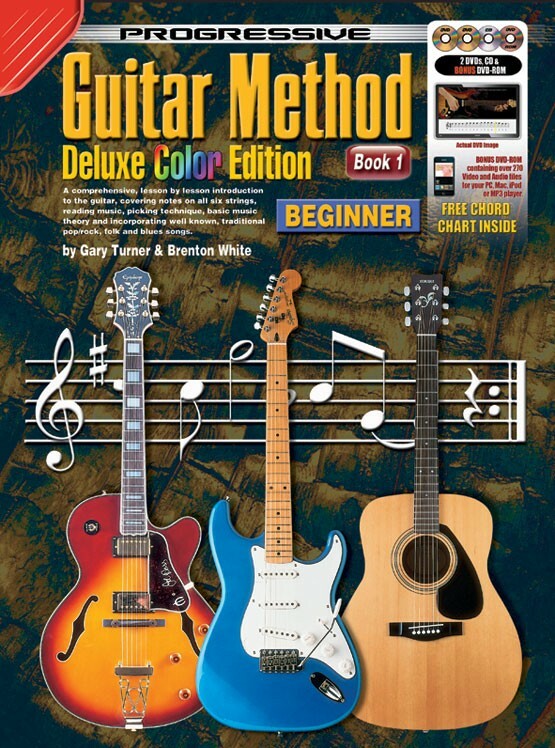 Progressive Guitar Method - Book 1 Deluxe Color Edition contains all you need to know to start learning guitar - in one easy-to-follow, lesson-by-lesson guitar tutorial. Suitable for all ages and all types of guitars including acoustic guitar and electric guitar. No prior knowledge of how to read music or playing the guitar is required to teach yourself to learn to play guitar from this book. 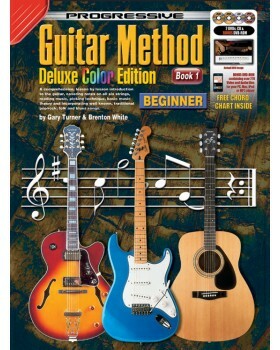 Contains everything you need to learn how to play the guitar today. Beginner guitar lessons have never been this easy for anyone who wants to learn how to play guitar, fast. I found it to be very useful for new students. The entire package gives a music teacher the correct way to introduce music and the guitar to a new beginning guitar student.